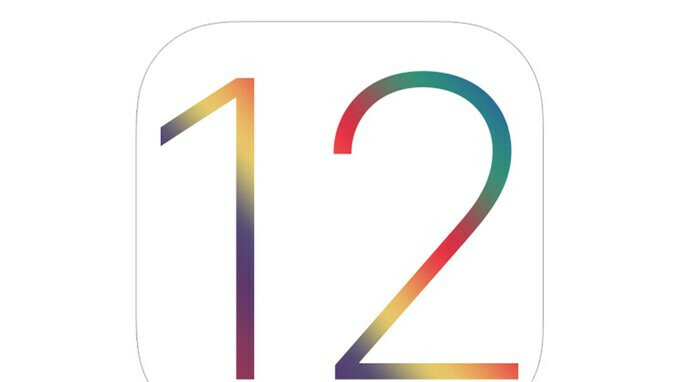 Beta 4 of iOS 12 has been released overnight, introducing a slew of incremental new features and squashing tons of bugfixes. But does it? Screen Time is cited as being broken as of now and doesn't sync information between devices. Apple generally recommends a reboot as a possible fix for this issue. Another broken essential feature of iOS beta 4 is the App Store - apps are quite likely to fail downloading the first time you try, but a subsequent retry should yield positive results. Apple also says that the cellular signal status bar on the iPhone X specifically could be inaccurate on either the home screen and the lock screen. CarPlay might not be playing well with the fresh new Siri Shortcuts feature. In fact, Siri Shortcuts might not be working with a whole slew of devices and features, including but not limited to the HomePod, restoring iCloud backups, locked iPhones, and a general slowdown or malfunction of any SiriKit-related queries. Yet, we should probably cut Cupertinians some slack for what it's worth -- given that this is a developer-centric beta, it is expected to be buggy and unstable. Hopefully, most of these would be fixed in the upcoming releases, or at least we hope so. On the upside, iOS dev beta 4 fixes random Fortnite crashes as well as the Netflix app force-closing when downloading videos. It also introduces tons of under-the-hood novelties that would only speak volumes to developers and people deeply invested into the foundations of iOS itself. Full iOS is a bug. And you’re an Android virus lol. Thank goodness the apples I buy at the store aren't full of bugs!!
" only bring a couple new features and tweaks". Well, that's how it should be in the first place, or would you prefer having new bugs also? Anyway, android changelog for major releases doesn't list app features like iOS release does ( for calendar, camera, gallery, maps etc, these are updated frequently, not just when is a major release). That's because many new features can be brought out between OS updates through play services. Educate yourself. Lots of new bugs and new version become a synonym for Apple software. BTW Speaker bug on iPad Pro was finally fixed in 11.4! Well, it was fixed before ... so it might work temporarily until they release new bugs ... I mean version. Congrlts my iPad mini 4 speakers get louder with 11.4!. I am not that sure it's a good thing considering the size and construction of an iPad Mini. What about highs, doesn't it resonate with higher volume? I would guess those tiny speakers were limited for a reason. Actually it does works well even with wireless headphones without any distroution feel that Apple start using beats tuning for there speakers! Not sure. :-D Beats tunig :-D Wireless has nothing to do with "tuning" it's a digital signal. Ow man that was funny I must say. I actually glad you said that, but I wonder, did you finally read something about how a BT streaming works? I really hope so, it will help you reduce the chance of making stupid decisions in the future, no matter what device you use. ... ok, you didn't get what I was trying to explain, sad. You made it anti Apple themed, not me. The sound quality of an iPad Air 2 is terrible by any standard - bad speakers, bad BT implementation and an average analog output. But you are certainly correct, that not many people find it important. Yet we are on a "tech related site" and tech noobs are probably not the audience here. Here you can find enthusiasts, people that care about what their device can and cannot do. My iPad Pro 10.5 speakers is still hardly audible below 50% volume. I have to crank it all the way up to actually make it audible. And I am fed up with Youtube app comment section stuttering. It's not like they've only their own handsets to upgrade and work out bugs for right, oh wait. Bugs are to be expected, but you'd think they'd be on top of them a little better then what they've shown to be, considering the closed garden is all their own. True. What is Apple doing these days. What happened to it just works? Monopoly on software & hardware of their devices. Full control over everything, updates should get better, not worse. It’s a beta, this is to be expected. I’m looking forward to the official release in September. Apple has added in some nice features. Many of the main functions don't even work? Interesting....every single android I've owned worked properly, and every feature that was supposed to be there was. Maybe elaborate a little?! We troll because apple is 'supposed' to be the gold standard of phones. That's the big 'selling points' of apple designing the hardware and software yes?? I'm talking about beta versions. And yeah, I criticize that too when Apple fanboys act as if iOS is bug free and is flawless. But here, we are talking about a beta version, and no matte what camp you're on, it's ridiculous to troll Apple for finding bugs, again, in a beta version. I'm using android p developer preview 3 on my nokia 7..... it's as good as stable version.